Leighan and David Rinker are founding members of the Partners Program, which allows scholarship donors to meet the Furman students they support. 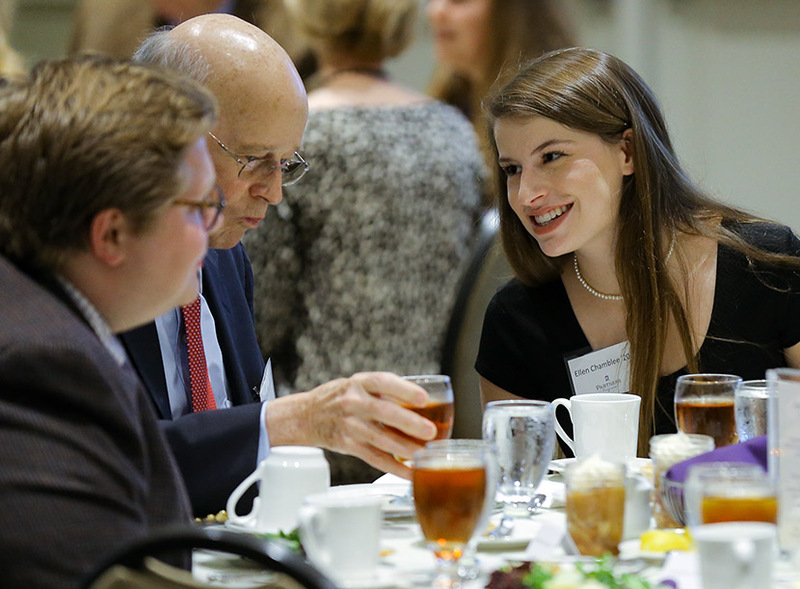 Ellen Chamblee ’20 was among the Furman students who attended the Partners Luncheon in November. 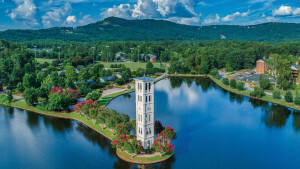 Furman University has received a $1 million grant from the Marshall E. Rinker, Sr. Foundation that will directly benefit The Furman Advantage through increased financial support for student scholarships and fellowships. The grant creates the “Presidential Partners” initiative, which will use major gifts to ensure student success through enhanced scholarships and increased funding for engaged learning experiences. 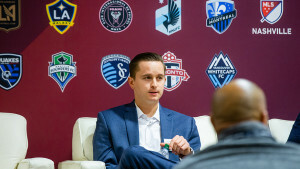 The initiative is tied to the university’s Partners Program, which allows scholarship donors to establish relationships with students who benefit from their philanthropy. 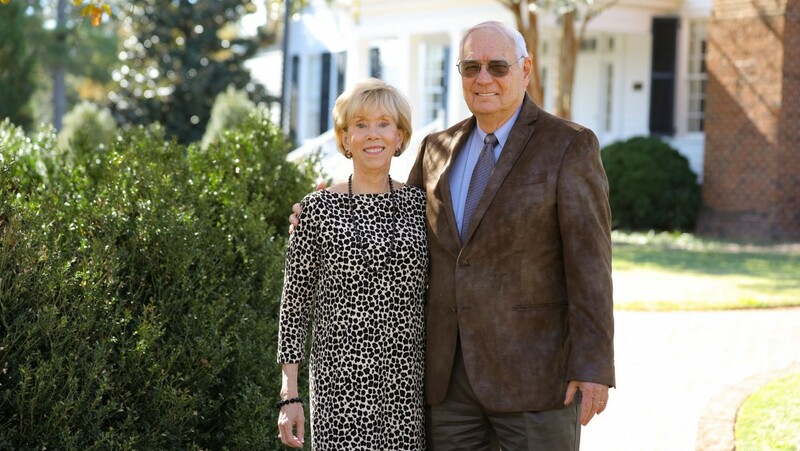 Half of the Rinker Foundation grant will establish the Marshall and Vera Lea Rinker Presidential Scholarship, while the other $500,000 will create the Marshall and Vera Lea Rinker Presidential Fellowship. The Presidential Scholarship will provide tuition assistance to students who have displayed leadership, service to others and academic achievement. The Presidential Fellowship will support high-impact learning experiences for students, including study away, undergraduate research and paid internships. 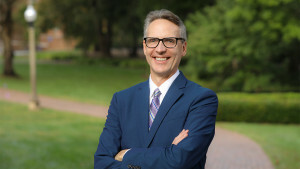 Davis said that both the Rinker scholarship and fellowship funds will be matched 50 percent by The Duke Endowment funding already committed to the university, making the grant even more beneficial to students. 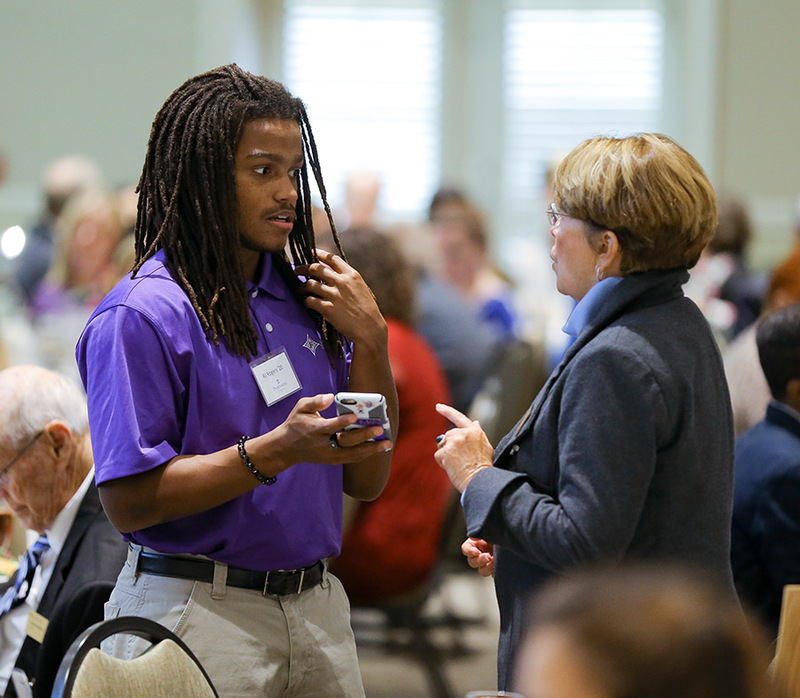 R.J. Rogers ’20 speaks with Furman trustee Susan Shi at the Partners Luncheon. The Partners Program, established in 1998, unites deserving students with donors who have the opportunity to see the direct and immediate impact of their investment through student success. Donors can establish funds and be a Partner through both annual and endowed gifts at many different levels. David Rinker, chairman of the Marshall E. Rinker, Sr. Foundation, and his wife, Leighan, are founding members of the Partners Program. 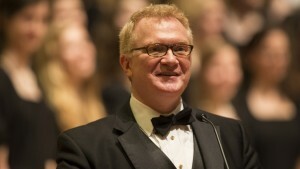 The Rinkers also have three children and two children-in-law who graduated from Furman. The Marshall E. Rinker, Sr. Foundation is a private grant-making foundation in West Palm Beach, Fla.
Last updated November 30, 2017 .